A recent spike in Honda automotive sales can be accredited to a specific sector: Parents. A vehicle’s safety record weighs heavily among all buyers when considering a new vehicle purchase, and Honda dealers have noted an increase in sales from parents. Seven of Honda’s 2012 models received accolades from the The Insurance Institute for Highway Safety (IIHS.) The 2012 Civic Sedan, Accord Sedan, CR-V, Fit, Odyssey, Pilot and Ridgeline all received the 2012 Top Safety Pick. In addition to the 2012 IIHS honors, Honda received more 2011 J.D. Power and Associates Initial Quality Awards than any other brand. These distinctions, combined with the low annual percentage rates and pricing deals going on during Honda’s Really Big Sales Event has pushed Honda sales forward for 2nd quarter. 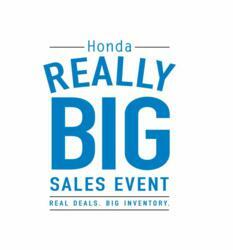 Visit http://reallybigsalesevent.com/ to see the Really Big Sales Event deals and learn more about Honda’s safety record.